Pico Genie A100 iPhone & iPod projector, Roobix! What’s more important in a mobile phone: portability or a massive screen? You’ll struggle to get an old school projector in your pocket, So what do you do? Get bigger pockets? I doubt youve got the seamstress skills for that. 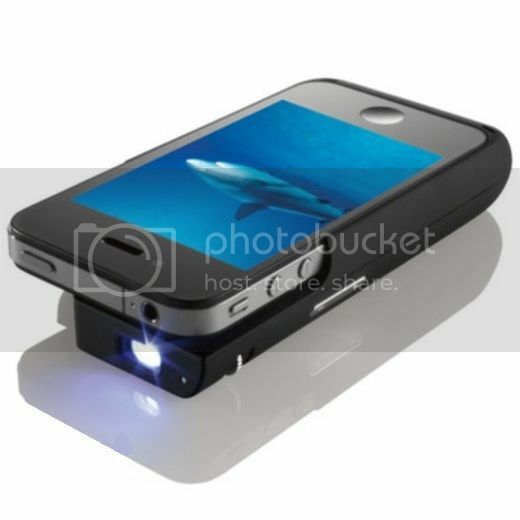 But if youve got an iPhone, simply clip it into the super slim Pico Genie A100 iPhone Projector. This clever device is more than just a tough case for your smart phone, it’s also a powerful projector, speaker and back-up battery in one.